We have introduced how to add shapes to the slides by Spire.Presentaion. Spire.Presentation supports to work with lots of shapes, such as triangle, rectangle, ellipse, star, line and so on. This time we will show you how to add line arrow to the slides in C#. Here comes to the code snippet. 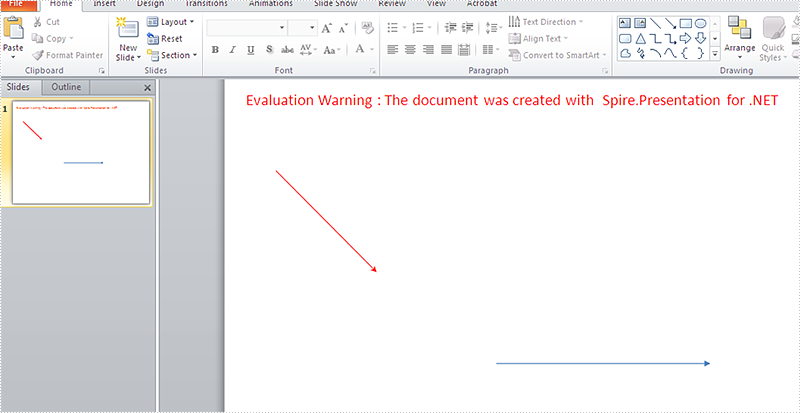 Step 2: Add a line to the slides and set its color to red. Step 3: Set the line arrow by using LineEndType.